Enterococci are well-known for their ability to produce a variety of antimicrobial peptides called enterocins. Most of these enterocins withstand extreme conditions and are very effective against a broad spectrum of undesirable bacteria including some Gram-negative bacteria. The same enterococci strain can produce multiple enterocins simultaneously. The genetic determinants of these bacteriocins can either be located on plasmids or on bacterial chromosome. 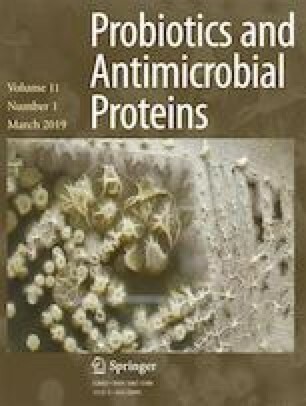 Digestion of Enterococcus faecium GHB21 plasmids with various restriction endonucleases suggests the presence of two plasmids named pGHB-21.1 and pGHB-21.2 whose respective sizes are ~ 10.0 kb and ~ 3.3 kb. The screening of enterocin-encoding genes among E. faecium GHB21 genome by PCR followed by amplicon sequencing indicated the presence of three different enterocin structural genes similar to entA, entB, and entP genes previously detected in other E. faecium strains. These enterocin genes were, subsequently, localized on the bacterial chromosome based on PCR-targeted screening using total DNA and plasmids of E. faecium GHB21 as separate templates. This work was funded by the Algerian Ministry of Higher Education and Scientific Research (MESRS), General Directorate for Scientific Research and Technological Development (DGRSDT), and the University of Glasgow. This manuscript has not been published and is not under consideration for publication elsewhere.